Thank you to Mitsubishi for providing the Mirage for us to drive so that I could experience how cool this car is. All opinions are my own. My daughter is a grown up now. She lives her own life surrounded by good friends and a good life. Recently I moved her into her own place. She is no longer renting a room from someone but she is the one renting a room to friends. They are good guys too, so I feel better about her living on her own with someone always around. 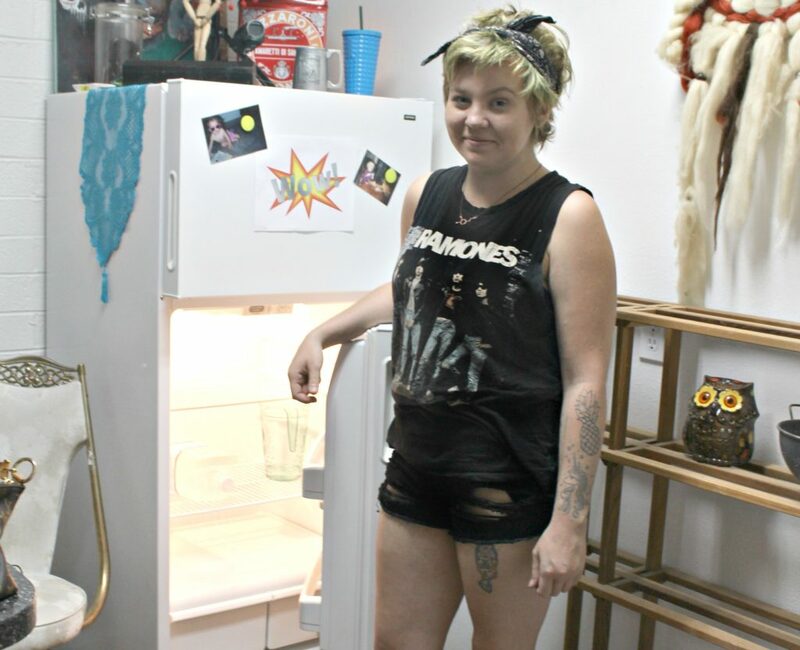 Her and I have the same sense of style in that we love kitsch and vintage items, so it was incredibly fun shopping for her apartment. 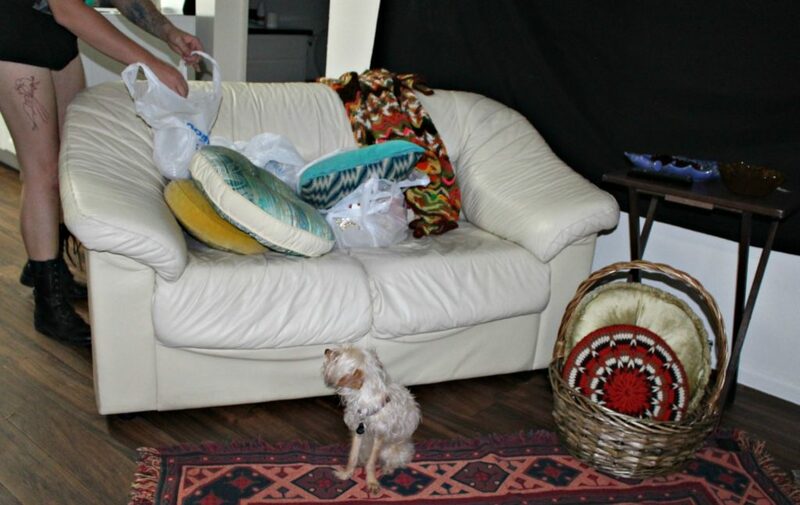 We took her dog (my grand dog) Lily too! 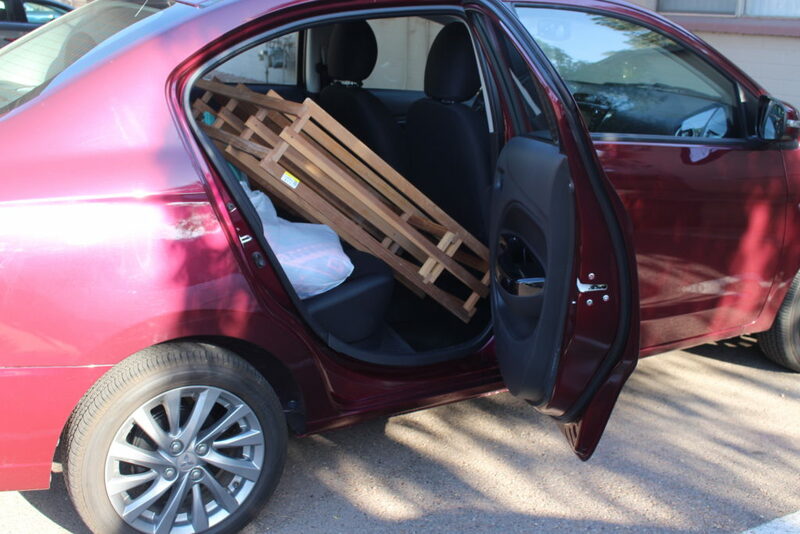 We drove the 2017 Mitsubishi Mirage G4 SE to tons of second hand stores to get the perfect items that would make her new house a cozy home. 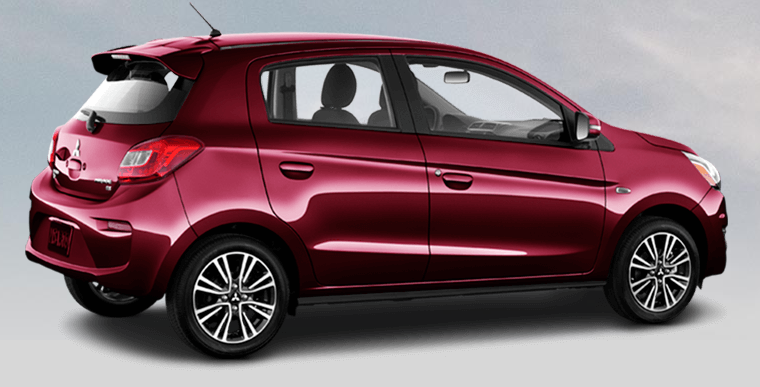 Mitsubishi says that the Mirage is the car that fits your lifestyle. This is true! 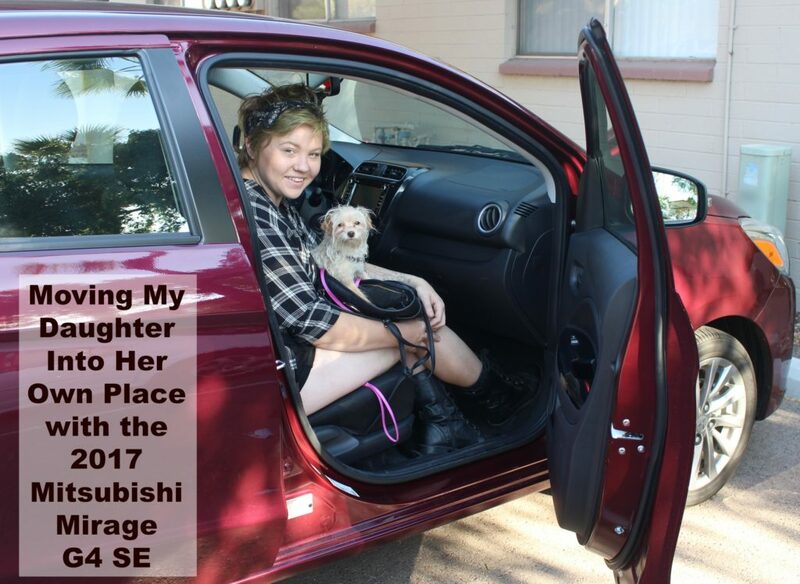 We got rugs, pillows, a couch, chairs, blankets, kitchen items and we were so happy that the 2017 Mitsubishi Mirage G4 SE was able to hold more and more and more at every store we went to! It is not only a stylish car but it is very roomy. We found this unfinished wood shelf that she painted a bright orange to match her decor. There was a lot to unpack and a lot of fun to be had while decorating! 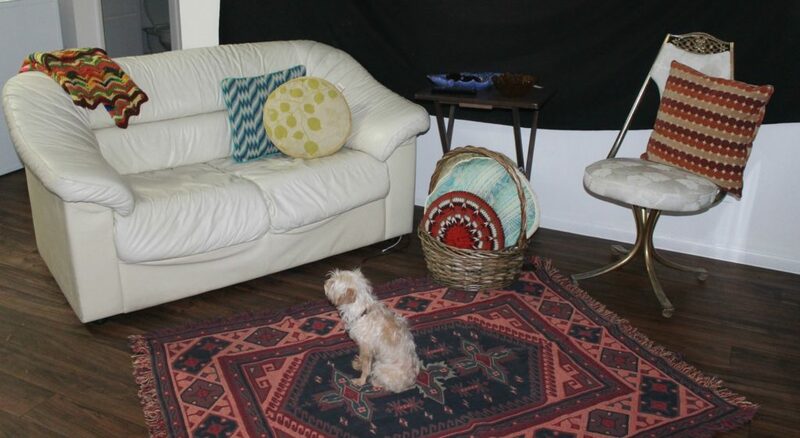 I let her do her own thing without butting in too much so that she could feel the excitement and pride of setting up her own place. Once the excitement wore done we realized that we had really worked up an appetite. We needed food! Oops…in all the excitement, we forgot to go to the grocery store! (ha ha) There was nothing at all in the fridge. 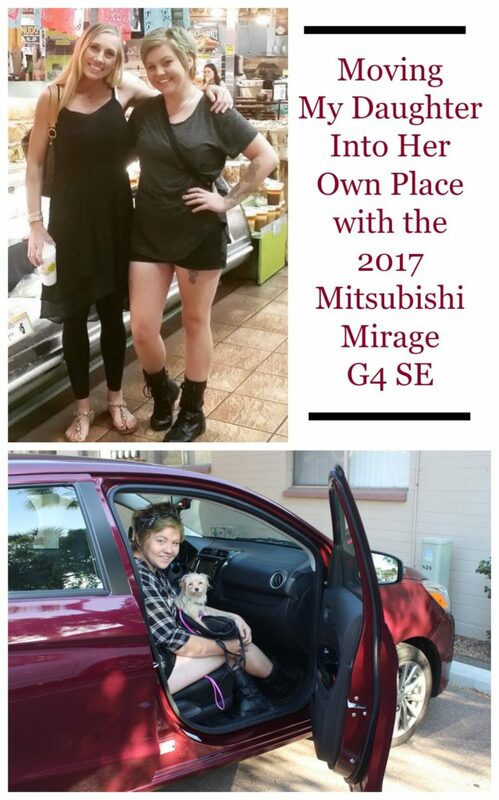 No worries, we took the 2017 Mitsubishi Mirage G4 SE up to get food and drinks and relax a little after our fun and busy day! I love my daughter so much and I am very grateful that I got to share this “first” experience with her! 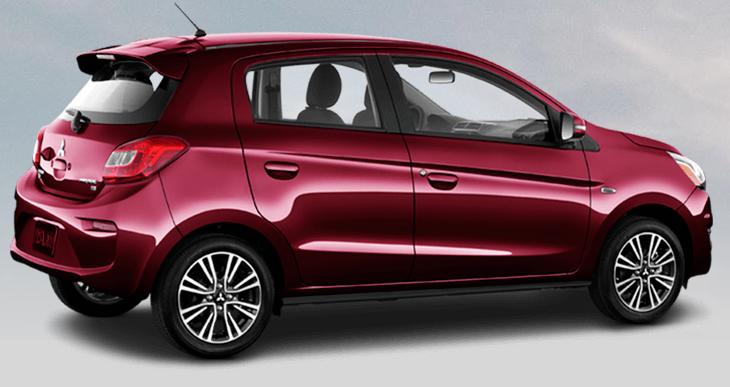 I think that you should consider the 2017 Mitsubishi Mirage G4 SE for your car. It is a hybrid-like efficiency without the hybrid pricing. It has tons of great features and a lot of room. Go to this site and learn all you can to about this great car! It will definitely fit your lifestyle. It is backed it with a 10-year/100,000-mile Powertrain Limited Warranty, include a 5-year/60,000-mile fully transferable New Vehicle Basic Limited Warranty, a 5-year/60,000-mile warranty on the restraint system, a 7-year/100,000-mile Anti-Corrosion/Perforation Limited Warranty and 5-years/unlimited miles Roadside Assistance. Family, Parenting, Shopping, Vehicles. permalink.